What are Exchange Traded Funds (ETFs) and why do they matter? According to Investopedia, an ETF is a marketable security that tracks an index, a commodity, bonds, or a basket of assets like an index fund. ETFs typically own the underlying assets (such as Bitcoin) and turn that ownership into shares. 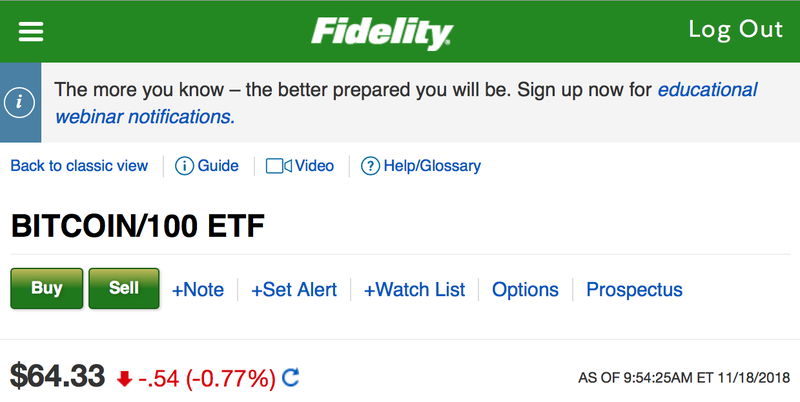 The great thing about ETFs is the simplicity of access via the public stock exchanges. Buying and selling ETFs is just as simple as buying and selling stocks. Let me describe how “easy” it is. Once the Securities and Exchange Commission allows Bitcoin ETFs, anyone with a 401K, IRA, or an investment account, like with the following top five broker-dealers, could invest in Bitcoin with a simple click — no wire transfer or credit card fees, no explaining Coinbase, other crypto exchanges, and security hurdles. According to the US census there are approximately 251 million adults over the age of 18. A survey conducted by SurveyMonkey/GBBC from early January (close to the peak of BTC’s 19.7K madness) shows that a mere 5% (12.6 million) of American adults own Bitcoin. A Gallop poll suggests that 54% (135.5 million) of American adults own stock. That’s 122 million potential buyers for Bitcoin ETFs! This estimate does not factor change in market size over time. Furthermore, a similar survey from finder.com confirmed the 5% figure but also discovered US adults bought about $3,500 worth of Bitcoin on average. Looking at global numbers, according to BitInfocharts, there are 22 million Bitcoin wallets. However, it should be noted that only 11.2 million have more than $6.50 worth of BTC. Coinbase reports an additional 20 million users — with no insight about wallet size or usage. While we know there’s tremendous overlap (I have multiple BTC wallets and a Coinbase wallet), for the sake of this article, I’m going to estimate that there are 20 million global BTC investors (similar estimates from Bitcoin Market Journal). If 12.6 million Americans invest in Bitcoin, that represents 63% of the total Bitcoin investors! Bitcoin is a fixed asset; there are only a total of 21 million coins, and just 17 million mined to date. According to Fortune, there are an estimated 4 million coins lost forever. 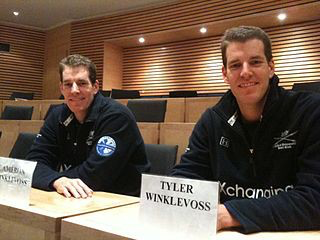 It’s a safe bet that the top 100 wallets, aka whales (like the Winklevoss twins), aren’t moving their combined 3.2 million whale-coins. So this effectively leaves about 9.8 million coins in circulation. 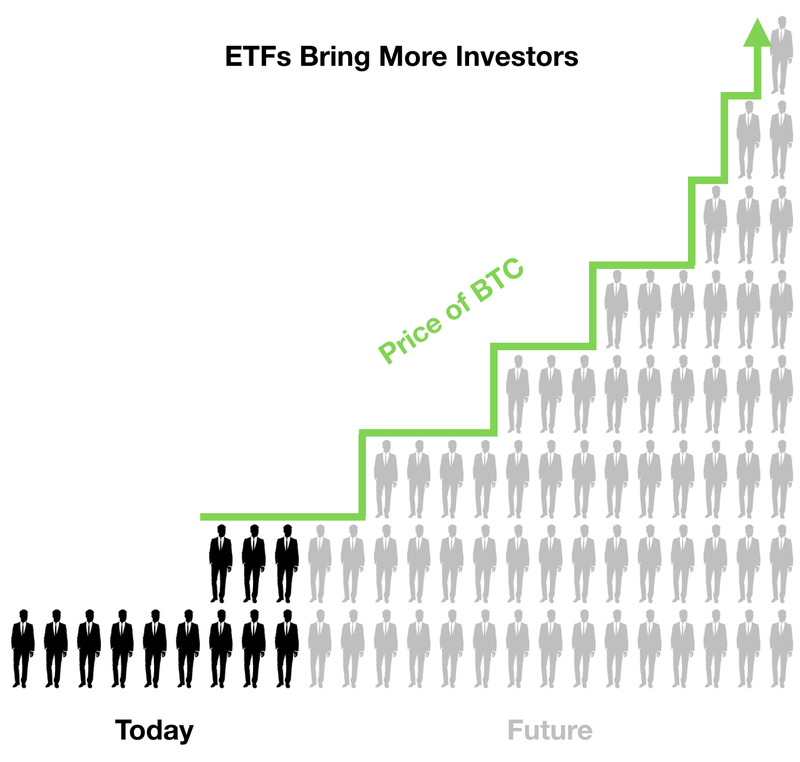 If the introduction of Bitcoin ETFs attracts 20% of the available equities trading market (122 million), that would add 24 million new investors! It makes sense for the rest of the world to follow the upward momentum. Factoring in the current US ratio (63%), we could see 58 million global investors in Bitcoin just from the introduction of ETFs! So, what does that mean for BTC’s price? January’s average Bitcoin market cap was $222 billion. The US investors represented 63% of the 20 million global investors, and the US investor purchased an average of $3,500 in Bitcoin. US investors equate to $44.1 billion, or 20%, of the total January market cap, leaving $178 billion or $24,000 per investor for the rest of the world. If ETFs add 24 million US investors and the upward momentum adds 14 million from the rest of the world, then that adds $84 billion and $336 billion, respectively, to the market cap. Over the past six months, Bitcoin’s market cap has swung from $326 to $110 billion. Adding $420 billion to the market cap could put Bitcoin’s price range from $26,000 to $44,000. Will the SEC Finally Approve Bitcoin ETFs?